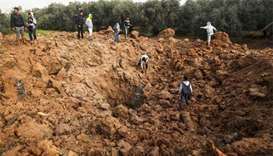 Ahmad Abu Tayoor, 17, was shot late on Friday on the border close to the southern city of Rafah, the ministry said. 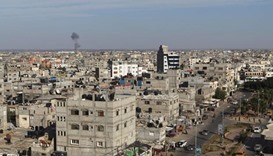 Israeli warplanes hit Hamas targets in the Gaza Strip early on Monday after a rocket fired by Palestinians slammed into southern Israel, the army said. 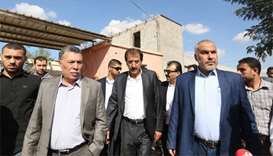 The handover signalled that Hamas remained committed to a deal that would eventually see it give up full control of the Gaza Strip and bring an end to a 10-year rift with rivals Fatah. Israeli warplanes launched new strikes against Hamas in the Gaza Strip on Friday in response to mortar fire, as the worst cross-border violence since a 2014 war entered a third day.